What kind of Mascara should I use? Mascaras come in three main forms namely liquid, cream and cake. Liquid mascara comes in a tube with its own brush in the cap. This is by far the most popular type of mascara, and is also available in a waterproof formula. The applicator that comes with liquid mascara is lighter and thinner to avoid dripping. 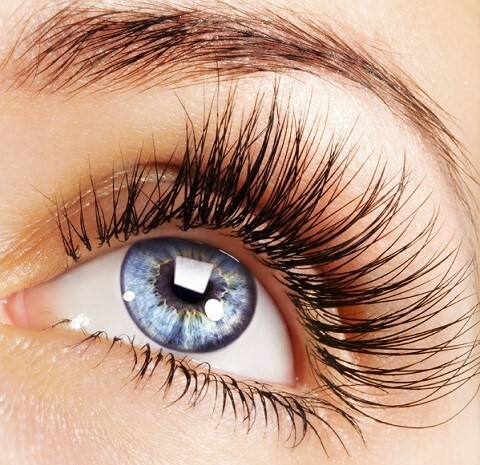 If your eye lashes are light coloured or thick and well-shaped liquid mascara is advised. A non-waterproof mascara is gentle enough for everyday wear. It is not ideal when wet or moist unless you bring along a containers with you for touch up. It is ideal for parties and is easy to remove. Waterproof mascara is great for the beach and wedding or other occasions when you need to it to last all day through outdoor weather. Waterproof mascara is made from waxes and film forming polymers. So it can only be removed using special make up removers. Brown is the most natural looking mascara for fair skinned people. You might want to make your eyes stand out by wearing black mascara, which really makes your lashes pop. No matter what kind of colouring you have. Black mascara is also a must if you are wearing black eyeliner. Black mascara is suits better for people with dark skin. Mascara colours such as green and blue are for fun and they can make your eyes look soft and pretty. White mascara looks unique and great if you wear it with a light neutral or white eye shadow. It will also brighten your coloured mascaras if you apply it to your lashes first. Longer eyelashes makes the eyes look beautiful. Lengthening mascara is designed to create the illusion of length to improve short and straight lashes. Most lengthening mascaras also have volumising and curl holding properties, so that the eyelashes look not only longer but also fuller and beautifully shaped. If your lashes are particularly short you need to use a lengthening mascara. The short synthetic fibres (Nylon or Rayon fibres) a lengthening mascara contains are intentionally left on the lashes upon application , which will make the lashes look longer. Volume building mascaras build thickness to the lashes creating a stronger visual presence. With that in mind, the formulations have building ingredients like polymers and waxes that will help build on the lashes, as they are coated. The wands for this task tend to have longer, fine, evenly spaced bristles for maximum quantity and even coats. This mascara is great for small, sparse, fine and fair lashes as it is designed to build presence with color, thickness and lengthening. Curling the eyelashes gives a wide-eyed look, creating larger looking, and dramatic eyes. The formulation is thicker because of ingredients for hold and shape, like polymers. The wand will have bristles tightly spaced to help in the upward curl motion. The end style desired is enhanced, thicker, longer lashes that still look and feel soft, light and natural. Formulations need to have qualities that allow for high definition, length and volume without getting clumpy. When should I use and eyelash curler? If you chose to set an eye lash curler, do it before you apply your mascara. Open the jaws of the curler and position it so that it’s a little before the base of your lashes. Gently close the curler and press; hold it there for about a count of five then release. Don’t forget to open it before taking it away from your eyes. What about false eye lashes? False eye lashes comes in different shapes and colours and easier to remove than glitter. Coloured false eyelashes can turn boring make up into something special. Finish your eye makeup application and then apply them. It will be much easier that way. Lightly apply the eyelash glue to the base for the band of lashes and let them sit for a few seconds. Then pick them up with tweezers or your fingertips and press them gently in to the base of your eyelashes so that the ends are curling up towards your eyebrow. Press until they feel firmly in place.